• Roof top unit installation. 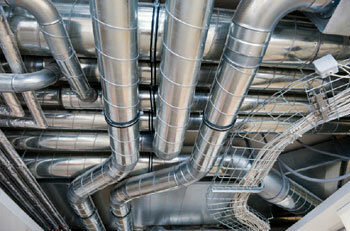 • Rectangular, round, lined, and unlined duct. • K.D. pipe, alumi-flex, soft flex, spiral. Performance Air Service is a commercial and industrial Mechanical Contractor Serving Northern California. Our professional technical staff has many years of technical expertise in HVAC services. Over 90 years combined technical experience from start to finish on projects involving HVAC sheet metal. In addition to the most advanced up to date training, our sheet metal staff has years of experience installing design build duct systems.